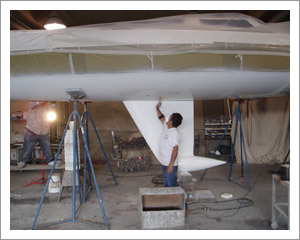 Hobie 33 getting the fully FinCo fairing treatment. 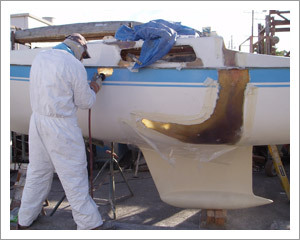 Race preping a boat is a form of restoration and renovation. 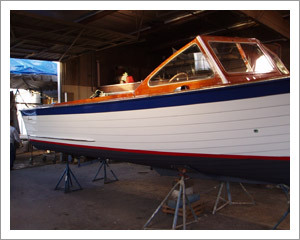 FinCo restored this tired Aries 32 to a fine level of finish including a clean bottom with epoxy barrier coat and fresh paint. 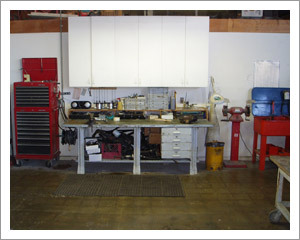 All hardware was either restored or replaced as required and mechanical systems brought up to current requirements. Sometimes it all goes terribly wrong. 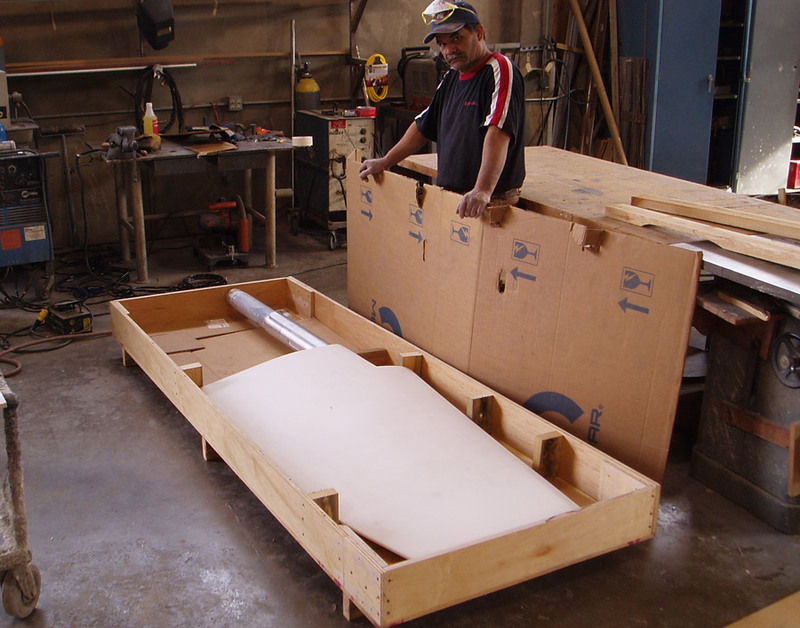 FinCo's experienced craftsmen are expert at making a structurally sound repair. 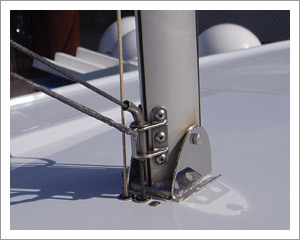 Special attention is given to make sure the repair is as strong as the original boat and unnoticeable to a critical eye. 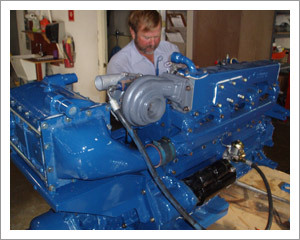 Perkins Diesel being rebuilt to factory specifications. 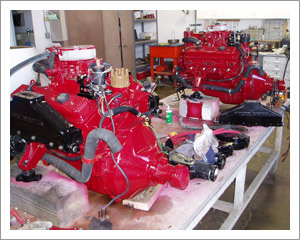 A pair of small-block marine chevys being prepared for reinstallation. 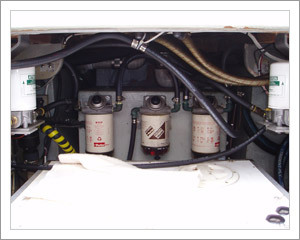 As part of a renovation project, this boat gets all new plumbing for the engines' oil, fuel and cooling systems. 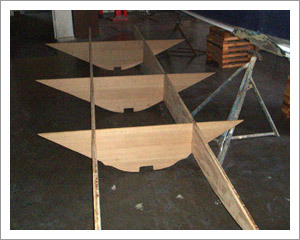 All work is performed to high standards for neatness and serviceability. We love the classics, too. 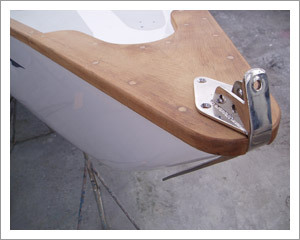 This vintage runabout needed its stringers replaced. 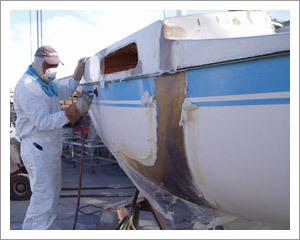 After 45 years of use the wood had rotted away under the fiberglass. 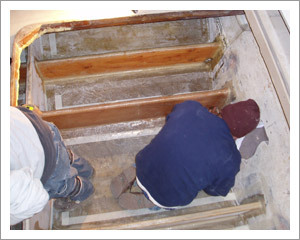 After removing the rotted wood and grinding back to sound fiberglass, the floors and stringers were carefully dry fit before final installation. Stronger than originally built and good for another 45 years! 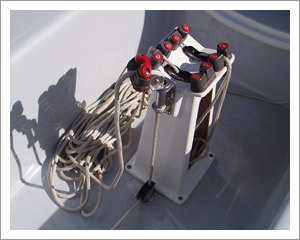 The finished project, ready to head back out to the water. 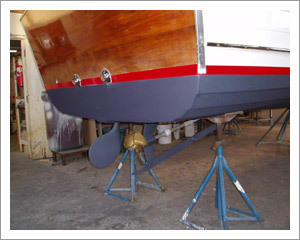 The wood at the bow of this Ranger 33 undergoing full restoration was shot so FinCo crafted and installed new teak at the bow and fully replaced the toe-rails. It's not all glamorous. 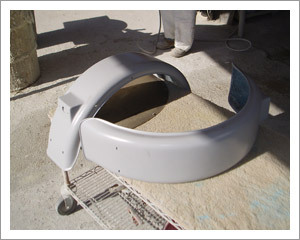 A racing sailor's trailer's fender had rusted through and we couldn't find replacements so we sanded them down to good steel and applied heavy fiberglass reinforcement before giving them a fresh coat of paint.